I have worked in West Perth for over 5 years now so I’ve been to most places down Hay Street for lunch at one stage or another. At the end of the food court on a recent visit I found a relatively new café that I hadn’t been to before – Lime Cafe. And I was pleasantly surprised at the range of healthy options they had available. Particularly their salad choices. 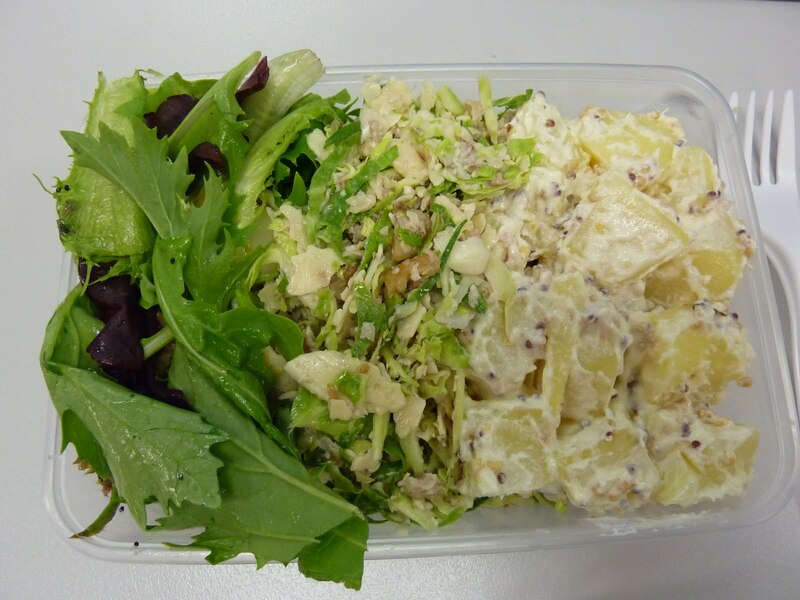 For $7.50 I sampled 3 of the salads they had on offer – potato salad, a fennel and beetroot salad and also a brussel sprout, walnut and parmesan salad. Have to say I was pretty impressed. With the exception of the potato, they had some interesting combinations available and they were really tasty and also very filling! I think I’ll be back…. They had about 5 other salad choices, will have to work my way through their list.